Summer is officially here so that means kinds running around the house, lots of family and friends visiting, barbecues and other house parties and gatherings, and a multitude of other events that are bound to see that your home gets a bit more traffic than usual. And we don’t need to mention all the fun cleaning extras that our fur babies bring into the home during the summer months. Trying to maintain the same level of clean in your home during the summer can be a challenging task, but with a few simple tricks and some planning ahead, you can be sure your home is clean and comfortable for all who enter. Let’s address the 3 main issues with regard to the extra traffic your home sees in the summers months and we will offer a few simple tips to help you stay on track with upkeep cleaning between your home cleaner’s visits. The first issue is dust! Pollen, added foot traffic on carpets and floors, as well as increased shedding from fur babies and just general dirt in the air outdoors can make its way to all the surfaces in your home. Dusting seems like a never ending chore! Here’s a tip: after you do the general dusting, or after your cleaner has come to dust, try wiping down surfaces in your home with a fabric softener or dryer sheet. Believe it or not this can tend to ‘repel’ dust from surfaces in your home and visibly cut down on its impact on flat surfaces. Dust and dirt also collect in the soft and cloth surfaces in your home such as rugs, cloth furniture, and window treatments. A good recommendation is to have carpets and cloth furniture deep cleaned or steam cleaned at the start and end of the summer season. This will go a long way to reduce the build-up of dirt and dust in the carpeted areas of your home. Giving dust-attracting surfaces in your home a good deep clean will also cut down on pet dander and allergens that may cause allergy prone members of your family discomfort. 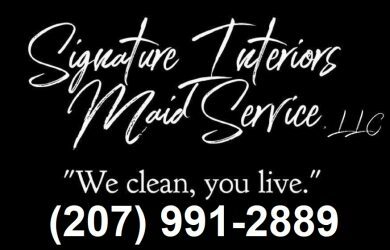 At Signature Interiors Maid Service part of our regular weekly or biweekly cleaning is a complete vacuum of all cloth furniture as well as carpets in your home. Giving window treatments a good washing at the start and end of the summer months is also a must. You may be surprised how much dust those curtains hold. The second cleaning area in your home which tends to be multiplied during warmer weather is the amount of dirt, dust, dander, and debris on floors. This can be cut down with a few simple tips. First, a great way to reduce the amount of dirt that gets carried around your home is for all those who enter to remove their shoes at the door. Studies have shown just how many germs, bacteria, and general ick clings to the bottom of our shoes, and when we wear our shoes in our home, not only are we bringing in dirt and debris that we then have to clean out, we are also bringing in potentially harmful germs. A good rule of thumb: lose the shoes. Another helpful tip is to purchase a dirt-collecting mat or rug for each entry way into your home. General area rugs are good for decoration, but if you are serious about cutting down on the amount of dirt that comes into your home, thereby cutting down on the time needed to clean your home, shoe mats are a must. They can be purchased at most home good stores. We recommend the mats which are also moisture absorbent as well so that the floor beneath the rug is protected from all weather situations. These mats can be taken out and shaken regularly and help keep dirt outside where it belongs. Lastly, with added visitors and social events at your home in the summer months the challenge of keeping kitchens and bathrooms clean is real. A few helpful tips in this area will go a long way to reducing your stress and feeling like you have to spend days leading up to these events wearily scrubbing your home before your guests arrive. One great tip to reduce the amount of laundry you are doing is to have ‘guest towels’ for people to dry their hands on in your kitchen and especially in bathrooms. These are simply decorative paper towels which can be purchased in most home good stores. Keeping a box or two under the sink to bring out when guests arrive is a must. Shower sprays can also be purchased (we recommend having this on hand anyway to keep your showers looking fresh and clean between regular cleanings) to use when guests stay over. These sprays reduce the build-up of grime and soap scum and make washing showers after guests leave a breeze. With all the extra entertaining, most of which will come with food and/or drink preparation, your kitchen can take a beating during the summer. Again, a few simple tips and planning ahead can avoid piles of dishes and mountains of clutter in your kitchen. Before guests arrive, have meals planned out and prepare as much as you can in advance. Sometimes you can do some meal prep such as cutting, slicing, mixing, and some of the messier things before you actually put the meal together. This will cut down on the number of dishes you do when your guests are visiting as well as will reduce the amount of time you spend cleaning when you could be visiting. Nowadays people aren’t all for paper plates, paper cups, and paper napkins but we say, go for it! You can find a number of brands which are made from recycled papers which biodegrade very quickly but still work great at cutting down the amount of dish washing you are doing when you entertain. 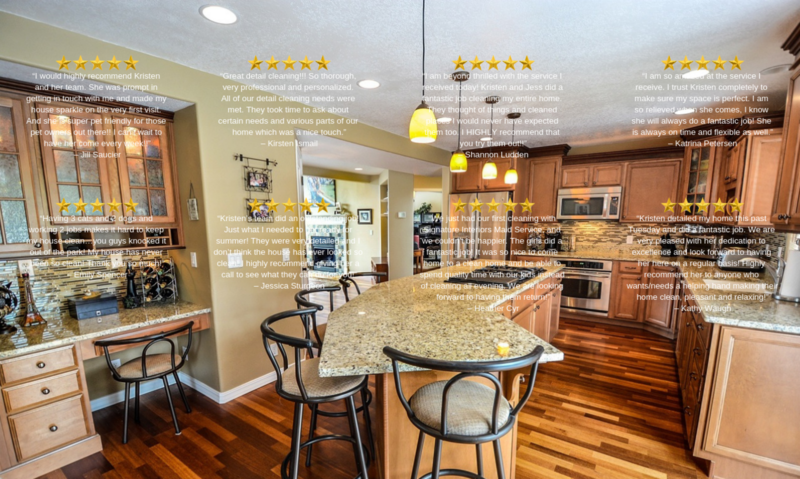 If this is a ‘no deal’ for you, not a problem, a little preplanning in this area can help your kitchen stay clean while you entertain guests in the summer. Simply delegate tasks to family members; one person is on countertop duty, one is on dishwasher duty, one is on food prep and put-away, etc. Many hands make light work. As the summer entertaining season gets into gear don’t stress about keeping your home clean. A few simple tips, some preparation and planning, getting a little help from family members, as well as the regular cleanings from your home cleaning service will assure your home stays clean, comfortable, and ready for visitors all summer long.